ARMANDO J. L. POMBEIRO is full professor at the Instituto Superior Técnico (IST) of the Universidade de Lisboa (ULisboa), Portugal. He is President of the College of Chemistry of ULisboa and of the Centro de Química Estrutural (IST), Director of the Catalysis and Sustainability (CATSUS) PhD program, and full member of the Academy of Sciences of Lisbon. 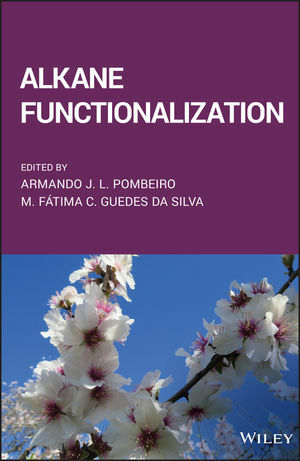 His research addresses activation of small molecules with industrial, environmental or biological significance, including metal-mediated synthesis and catalysis (e.g., functionalization of alkanes), self-assembly of polynuclear and supramolecular structures, non-covalent interactions in synthesis, crystal engineering of coordination compounds, molecular electrochemistry and theoretical studies. He authored or edited 7 books, (co-)authored over 800 research publications and 40 patents. His work has received over 20,000 citations and he has an h index of over 60 (Web of Science). He is the recipient of several scientific prizes, including from the Chemical Societies of France, Royal Spanish and Portugal, as well as from the Technical University of Lisbon, and the Vanadis Award. M. FÁTIMA C. GUEDES DA SILVA is an Associate Professor at Instituto Superior Técnico, Lisbon, Portugal. She is the Coordinator of the research group of Coordination Chemistry and Catalysis of the Centro de Química Estrutural, member of the Coordination Commission of this Centre and of the Directive Board of the Catalysis and Sustainability (CATSUS) PhD program. Her main research interests include: structural determination, by X-ray diffraction analysis, of metal complexes and organic compounds, metal polynuclear assemblies and supramolecular structures; activation, by transition metal centres, of small molecules with biological, pharmacological, environmental or industrial significance; metal mediated synthesis and catalysis; molecular electrochemistry and electrocatalysis; mechanistic investigation of fast reactions mainly by digital simulation of cyclic voltammetry. She co-authored ca. 300 research publications, 13 patents. She was awarded the Scientific Prize Universidade de Lisboa / CGD and the Scientific Prize of the Portuguese Electrochemical Society.